These decisions have clarified the scope of obligations related to retrocessions under civil law and in particular asset managers’ civil liability for reimbursement of retrocessions to their clients. The Swiss Supreme Court’s new decision of 14 August 2018 completes the picture by spotlighting the potential criminal liability of asset managers who fail to report, respectively return, retrocessions to their clients. In the case considered, an independent asset manager was appointed in 2007 as the curator of an elderly man, Mr B. who was no longer able to manage his own affairs. In the wake of the 2008 financial market crisis, the asset manager incurred losses on his 60 clients’ accounts, including Mr B.’s account. To conceal the losses, the asset manager communicated falsified account statements to his clients. He also sold some of his clients’ assets to reimburse other clients who requested redemptions. The asset manager further debited, without authorisation, asset management fees of 1.1%, higher than the initially agreed fees of 0.5%, corresponding to a surplus of CHF 334,172.50. From January 2009 onwards, the asset manager made particularly risky investments with Mr B.’s assets for several CHF millions, which were not in line with the risk profile tacitly agreed. The asset manager also transported cash from Switzerland to Italy to partially finance a real estate property for himself at the expenses of his clients. Finally, the asset manager failed to report or pass on to his clients the retrocessions received from the custodian bank which amounted to a total of CHF 405,248. The courts of the Canton of Valais convicted the asset manager for misappropriation, criminal mismanagement, forgery of documents, money laundering and sentenced him to four years and six months of imprisonment. 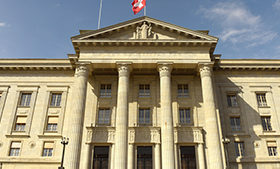 The asset manager appealed to the Swiss Supreme Court and contested in particular that he had committed criminal mismanagement according to Art. 158(1) SCC by failing to report to and to pass on to his clients the retrocessions received from the custodian bank. In its decision, the Swiss Supreme Court noted that it was the first time that it had to decide whether the violation by an asset manager of the duties to report, respectively return, retrocessions constitutes criminal mismanagement under Art. 158(1) SCC. To address the issue, the Swiss Supreme Court referred to its case law holding that the corporate body of an asset management company holds a guarantor position vis-à-vis the company’s clients. Accordingly, concealing information from clients in breach of the duty of loyalty (Art. 398(2) SCO) may constitute fraud by omission (Art. 146 SCC). Indeed, a director must ensure compliance with the contractual rules binding the company with its clients, such as the rules of the mandate (Art. 394 et seq. SCO), in particular, it must comply with the duty of loyalty (Art. 398(2) CO), which includes the duty to duly inform the client. This is part of his/her obligation to exercise all due diligence in the management of corporate affairs (Art. 717(1) SCO), which is closely linked to the rules on liability provided by Art. 754 CO. He/she therefore has a guarantee position towards the company’s clients.The Swiss Supreme Court applied by analogy the same reasoning in its decision of 14 August 2018 by considering that the duty of accountability under Art. 400 SCO is also an increased or qualified obligation of the agent to act. The Court recalled in this respect that an asset manager’s duty of accountability is twofold: (1) a duty to report on his/her activities and (2) a duty to return anything received for whatever reason as a result of such activities, in particular retrocessions (if no valid waiver was signed by the client). The Court emphasised that the duty to report must allow the client to check whether the asset manager’s activity constituted a good and faithful execution of the mandate. In particular, the information must enable the client to claim what the manager must return to him/her and, if needed, to claim damages from him/her. 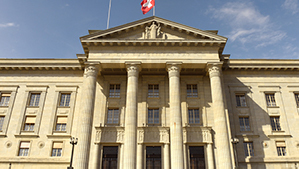 The Swiss Supreme Court also held that the duty of accountability was an increased or qualified obligation to act, the breach of which may constitute unfair management sanctioned by Art. 158(1) SCC. On this basis, the Swiss Supreme Court confirmed the asset manager’s conviction for criminal mismanagement on the ground that he failed to duly inform his clients of the retrocessions received and return to them the same. The Swiss Supreme Court further held that the waiver signed by clients was invalid as it did not disclose the scales of the retrocessions and thus did not allow for an enlightened consent from the clients. Although this latest decision may be interpreted as holding criminally liable any asset manager who breaches his/her contractual duties towards his/her clients with regard to retrocessions, it remains to be seen if this was the Swiss Supreme Court’s real intention. The case at hand may have been an outlier given that the convicted was not only a mere asset manager but also the curator of his client, Mr B. Under his duties as curator, the asset manager had also the duty to recover money due to his ward by third parties, including by his asset management company. In light of this decision, it can be expected that Swiss courts will only consider cases of a certain importance as falling within the ambit of criminal law, such as in case of churning for which the criteria to claim civil liability are not the same than those relating to criminal liability. Whether an asset manager’s concealment of retrocessions received is already tantamount to a criminal offence remains open. However, this new decision confirms that transparency is the new paradigm under which asset managers (including banks) must now navigate and Swiss courts have confirmed that clients are entitled to a better protection against conflict of interests. 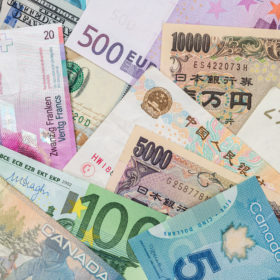 The new Swiss Financial Services Act (FinSA), which is expected to enter into force on 1st January 2020, is a further step towards transparency. Although FinSA will not prohibit retrocessions, it will incorporate the Swiss Supreme Court recent case law at a regulatory level. This may open the door to further civil litigation and potentially criminal litigation as now established under the latest decision of the Swiss Supreme Court. Supreme Court’s decision 14 August 2018, 6B_689/2016. ATF 132 III 460, 137 III 392, ATF 138 III 755 and ATF 143 III 348. Supreme Court’s decision 8 April 2002, 6S.23/2002. Supreme Court’s decision 14 August 2018, 6B_689/2016, para. 3.3.